XYZ Smart Collagen is an advanced collagen boosting product manufactured in Europe by Wolfson Berg. The main ingredient is a South African plant extract that is renowned for its ability to soothe and heal damaged skin. 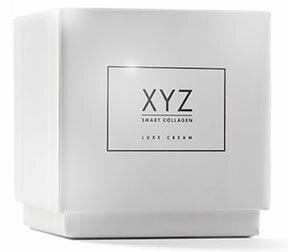 The formulation was originally developed to ease the discomfort of people with recently tattooed skin, but clinical evidence revealed XYZ Smart Collagen is a force to be reckoned with when it comes to boosting collagen levels and providing younger looking skin. XYZ Smart Collagen has been featured in many top magazines including Cosmopolitan, Elle, Vogue, and Vanity Fair. This has created quite a buzz about the product and it has been hailed “a breakthrough in professional skincare”. 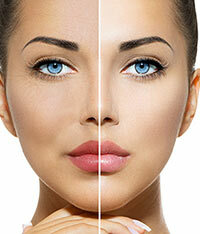 Collagen is a form of protein that provides the skin with its natural firmness and ability to resist wrinkles. The body produces its own collagen, but its ability to do so declines at a rate of about 2% per year. This is why there is such a marked difference between the skin of a younger person and that of someone who is getting on in years. Collagen is manufactured by a specific kind of cell called a fibroblast. These cells are located just beneath the surface of the skin. Once XYZ Smart Collagen has been fully absorbed it has the ability to stimulate the fibroblasts and encourage them to start producing extra collagen. 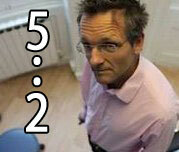 Other creams and treatments are also capable of doing this, but the results they provide are generally very poor. The problem is such products contain TGF-b receptors that overly boost collagen production, giving the skin more collagen than it needs. The quality of the collagen produced is also too poor to provide much improvement to the skin, and any results that are attained never last long. XYZ Smart Collagen does not rely on TGF-b receptors. It contains a plant extract, called bulbine frutescens, that helps the fibroblasts manufacture higher quality collagen. This is what gives the product such an edge over creams that use outdated collagen boosting techniques. After an 84-day clinical trial, supervised by a leading dermatologist, all 21 of the study participants had successfully attained younger and healthier looking skin and the dermatologist was happy to attest to this fact. XYZ Smart Collagen contains Bulbine frutescens. 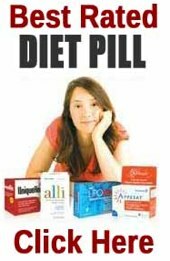 There are no other active ingredients. Bulbine frutescens is flowering plant native to South Africa. The sap of the leaves is renowned for its ability to heal sore and damaged skin and it has been favored by South African herbalists for many hundreds of years. Many scientific trials support the claims made for the sap’s skin healing potency; and evidence gathered by researchers at the University of the Witwatersrand in Johannesburg proves the compound’s skin healing abilities. 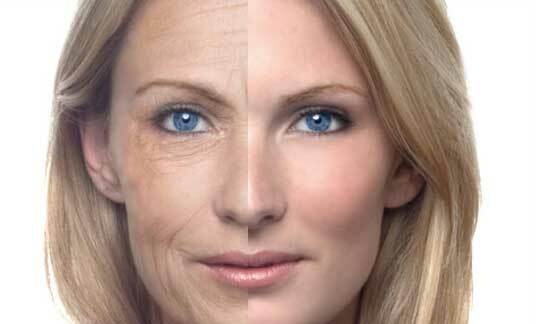 The researchers also noted its ability to “provide a significant increase in collagen, protein and DNA”. Wolfson Berg are not the only company using this ingredient, but their version is more potent because they do not use conventional extraction techniques that would expose the sap to heat and air, causing some of the vital components to be damaged by oxidation. As far as cosmetic go, Wolfson Berg appears to be the only company that favors this powerful extraction method, but people in the juicing industry use it all the time because they are aware it is the best way to retain an ingredient’s natural goodness. How to Use – XYZ Smart Collagen is a powerful product that only needs to be applied twice per day. The best time to apply the cream is first thing in a morning and last thing at night. The cream needs to be massaged into the neck and face using a gently upwards motion. Particular care is necessary around the eyes because it is important not to allow any cream to get into the tear ducts. The lower lids should be avoided entirely. After the morning application has been fully absorbed into the skin it is permissible to apply sunblock. This will further ensure healthier skin by offering protection from the damaging effects of UV rays. XYZ Smart Collagen has been approved by the four main organizations that aim to help consumers find quality natural health and beauty products. XYZ Smart Collagen is also certified 100% vegan friendly. This is an important point to note because many creams contain collagen taken from bovine sources. XYZ Smart Collagen is exclusive to the manufacturer’s website and the price is £39.99 per 50ml pot. XYZ Smart Collagen is easily the best collagen boosting product available today. Wolfson Berg have chosen the most powerful collagen boosting compound available and extracted it in an extremely efficient way. Bearing this in mind, the fact that the cream boasts clinically proven abilities is not surprising. Nor is the media attention it’s received. The only thing that is surprising is the price. Many manufacturers are charging twice as much for products that are inferior to XYZ Smart Collagen and will not be able to match it on results. So, as far as value for money goes, XYZ Smart Collagen is a damn good buy.